Cetylated fatty acids (aka esterified fatty acid carbons) are fats that the body produces. Some studies have shown that these fatty acids may help manage various joint discomforts, and support the flexibility and range of motion of joints. Research continues into the benefits that cetylated fatty acids can offer. 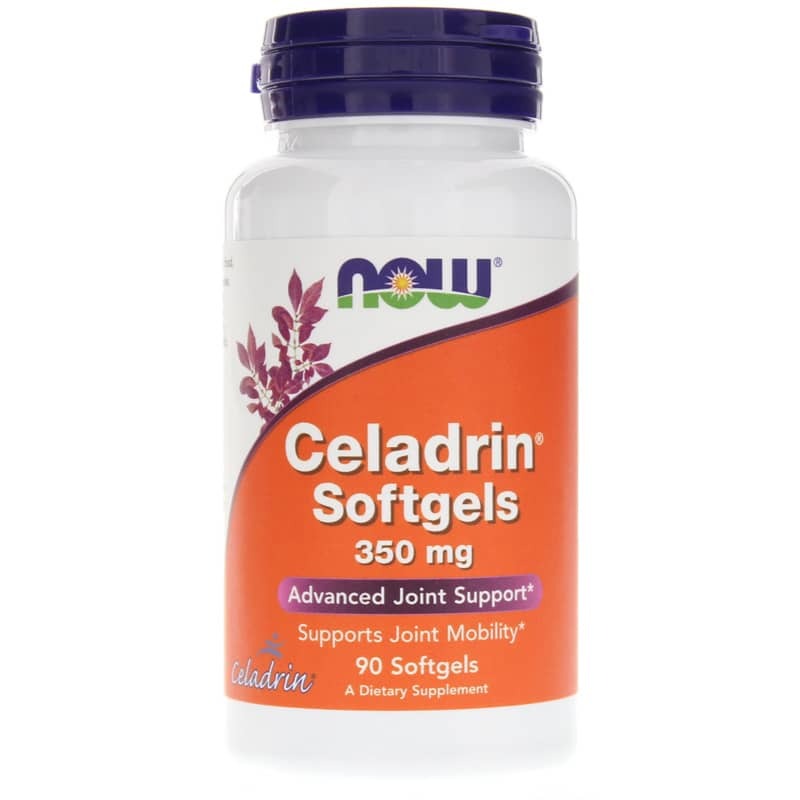 NOW offers a natural fatty acid supplement called Celadrin that may provide support for healthy joints. This supplement is free of sugar, starch, salt, wheat, yeast, gluten, corn, egg, milk and preservatives. 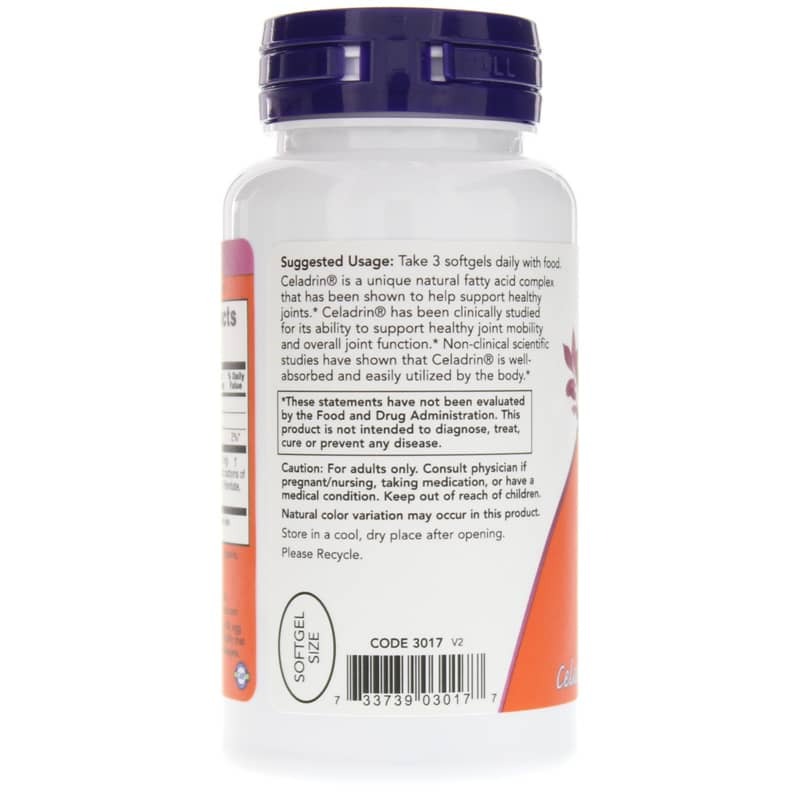 Recommended use is to take three softgels daily or as directed by a healthcare professional. If you're looking for a natural supplement that may provide support for healthy joints, check into NOW's Celadrin. Order online today! Other Ingredients: Softgel capsule (gelatin, glycerin, water, carob), soybean oil and salmon oil. Contains soy (oil) and fish (salmon oil). Not manufactured with: wheat, gluten, corn, milk, egg, or shellfish ingredients. Produced in a GMP facility that processes other ingredients containing these allergens. 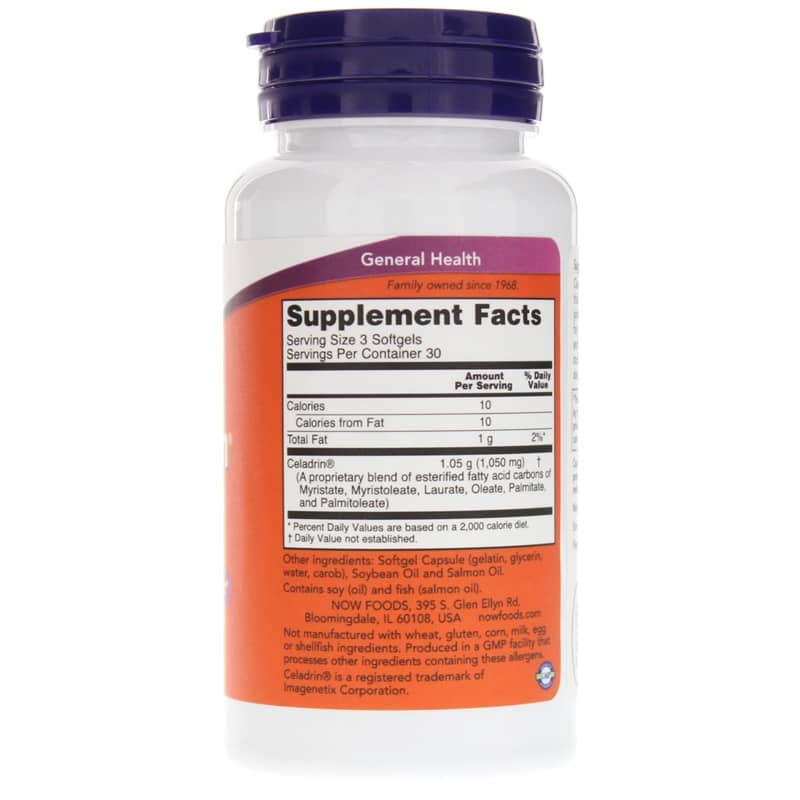 Adults: Take 3 softgels daily with food.